<!-Childe Hassam. 1859-1935--> Childe Hassam, N.A. The White Kimono. Childe Frederick Hassam, N.A. 1859-1935. The White Kimono. 1915. Etching. Clayton 47. 7 1/2 x 10 7/8 (sheet 10 1/4 x 13 11/16). Edition c. 61. Printed on off-white hand made paper with full margins. APristine condition. 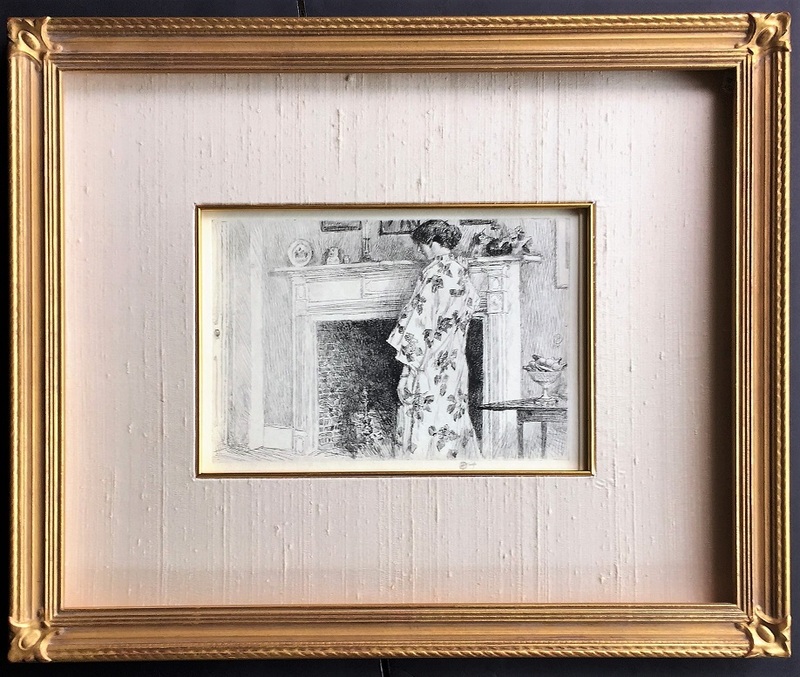 Provenance: Gift of Maud Doane Hassam (850 Park Ave NYC) Thence, by descent to a direct descendant of Mr. Maud Doane Hassam. Signed with the cypher in pencil. Housed in a silk mat with a gold liner, within an 18 1/2 x 22 1/2-inch 22 karat gold leaf frame.Price upon request. The location is the Holley House in Cos Cob, Connecticut, where Hassam rented "the best bedroom" this room was reserved for guests who could afford to pay for the extra space and comfort. Spacious, with an elegant Federal-era fireplace mantle and northeastern exposure from three large windows, this room had the nicest amenities. 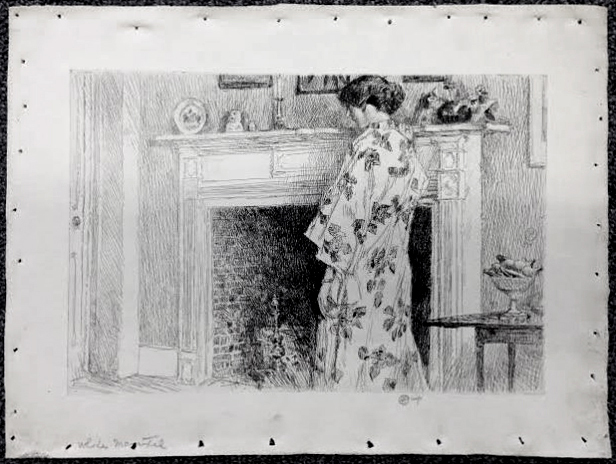 A 1902 letter from Emma Constant to her mother reveals that Childe Hassam, a notable Impressionist painter, paid $20 per week for the room and board. By contrast, another artist, Carolyn Mase, paid only $8 or $9 for her accommodations. 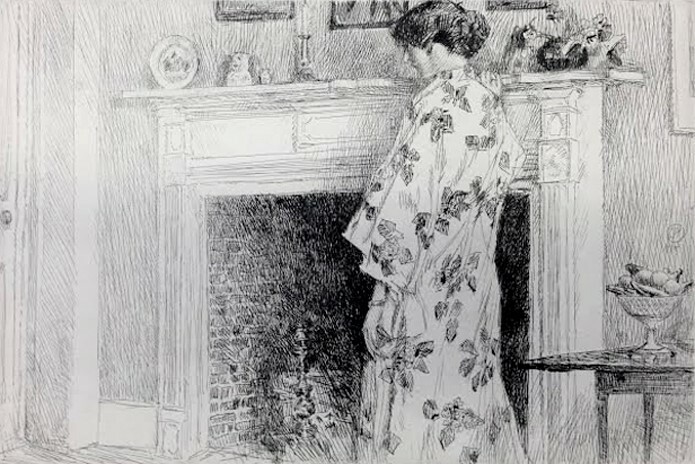 Hassam used the fireplace mantle in several etchings and paintings.